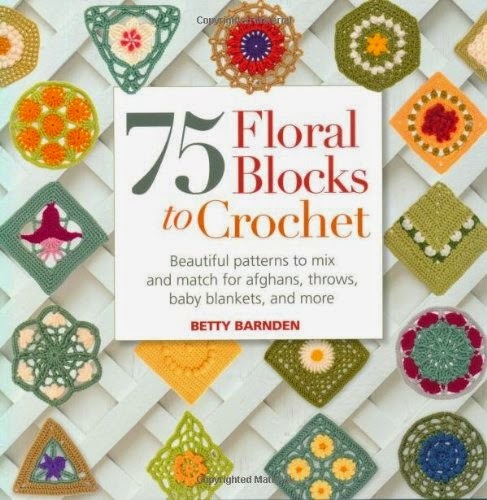 75 Floral Blocks to Crochet is a charming collection of square, triangular, diamond, and hexagonal blocks, all with a floral theme—from traditional blanket squares with petals and rosebuds to colorful blocks with three-dimensional flowers and butterfly patterns—there's something here to inspire every crochet fan. Great for crafters "on the go" it’s easy to work a few blocks while traveling or commuting. Then when all the blocks are complete you can assemble a whole project at your leisure. The book includes: "Useful Techniques" offering directions on construction—in straight rows, in the round, or corner-to-corner—plus how to join blocks and create edgings. The "Block Directory," categorized by shape, showcases the designs which are cross-referenced to the row-by-row (or round-by-round) written instructions, as well as easy-to-follow charts. Additional information indicating the direction of working, skill level, and the number of colors needed is also included. Lastly, "Creative Projects" helps you make your own choice of blocks to create stunning projects including throws, afghans, shawls, and more!